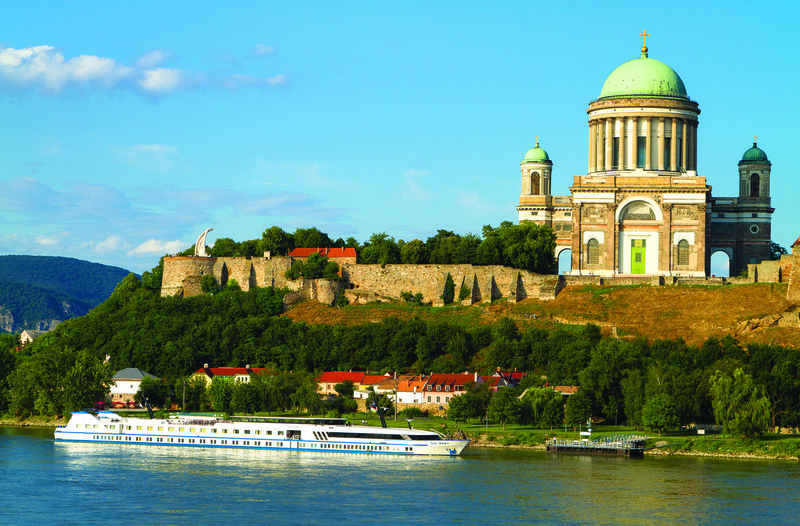 Shearings is of the UK's leading river cruise providers. They bring over 100 years of escorted tours experience to the river cruise sector, with all cruises including coach, air or rail transport, full-board meals, excursions, entertainment and great company. Choose from six exclusively-chartered vessels on Europe's finest waterways, new 'escorted by Shearings' all-inclusive cruises and hand picked partner cruises as far afield as Russia's waterways and the Yangtze. New experiences for 2016 included Battlefield commemorative cruises and As Seen on Screen itineraries - something for river cruise newcomers and regular river cruisers alike. The MPS Da Vinci is one of the most elegant and luxurious river cruise vessels in Western Europe. It's designed along the lines of a splendid yacht, with dark wood and sumptuous textile and leather furniture. The beautifully designed lounge has an open fireplace to keep you warm, and the on-board gym features a relaxing sauna and Turkish bath. This Premium Ship is available for cruises on the Danube, the Main, the Rhine and the Waterways of Holland. Cruises on this vessel include transfers by coach, air, or Eurostar, delicious meals on board the ship, river views from every cabin, an on-board entertainment programme and days out in some of the most delightful places in Europe. The MPS Rotterdam is Shearings' flagship vessel and has become a firm favourite over the years that it has been exclusively chartered. This luxurious four deck ship is a ship for all seasons, offering relaxing European river cruises throughout spring, summer, autumn and winter, including Christmas and New Year. Wherever you choose to venture, you'll feel right at home on board the inviting MPS Rotterdam. Your Shearings tour manager will keep you entertained with on board activities in the daytime, and in the evenings you can get up and dance (or sit back and relax) to the sounds of our resident musician. The facilities on board this luxury vessel include a spacious sun deck with sun loungers and a shaded area, as well as a lovely restaurant serving breakfast and lunch buffets and table-served four course evening meals, which are all included in your cruise package. This Premium Ship sails on several waterways across Europe, including the Rhine, the Moselle and the waterways of Holland and Belgium. The Danube is a beautiful river to cruise along, and what better way to appreciate this picturesque waterway than aboard the MV Esmeralda. Offering quality and modern accommodation for over 100 passengers, we're delighted to welcome you on board this elegant ship as we travel through Austria, Slovakia and Hungary. You're sure to feel at home on board the MV Esmeralda and your Shearings Tour Manager will ensure that you're looked after throughout your holiday. This ship has some wonderful facilities to enjoy - the comfy lounge has a selection of books and games and the spacious sun deck os the perfect place to sit back and watch the scenery pass. Offered to Shearings customers in 2015 is the MS Princess. The MS Princess is a smaller ship for smaller rivers, letting you experience routes the larger ships simply can’t access. It’s the perfect vessel from which to explore the gentle waterways of the Elbe, offering a fantastic opportunity to cruise along the elegant Elbe river in Germany and experience wonderful towns and cities along the way. Though small and intimate, the MS Princess doesn't compromise on quality of service. You can always be assured of helpful crew, enticing cuisine and the same wide array of facilities offered on larger ships. If fact, thanks to its modest size, the MS Princess can dock at ports larger ships can't, including cosmopolitan city Prague. So if you're after a more exclusive feel, big service and something a little different, a river cruise on the MS Princess is ideal. This warm, inviting ship is a long-standing favourite with Shearings river cruise customers, offering relaxing river cruises throughout spring, summer and autumn. We’re delighted to announce that the Virginia has been extensively refurbished in 2013, creating a delightful environment to relax on board. Join us and find out why so many holiday-makers return to the Virginia year after year. Renowned for its friendly staff, superb service and informal atmosphere, the Virginia is the ideal vessel for first-time river cruisers, offering an intimate, relaxed river cruise experience. Whether you want to discover the delights of the Rhine, the historic cities of the Moselle or the floral beauty of the Dutch Waterways, the Virginia offers a fantastic introduction to river cruising. Our team of experts have selected some of the finest river cruise ships just for you. Whether you choose to sail on one of our exclusively chartered ships, or on a hand-picked partner vessel, you’ll find comfortable accommodation, great facilities and a very warm welcome.